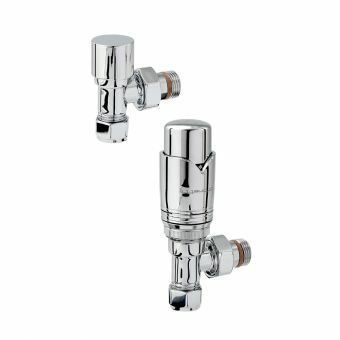 Bisque Thermostatic Valve Set L (Angled)From £174.72 inc.VATRRP: £249.60 (Save 30%)Useful for towel radiators as the controls do not stick out into the room. 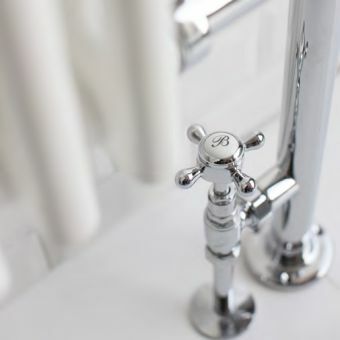 At UK Bathrooms, we stock a vast selection of bathroom products and accessories at discounted prices. 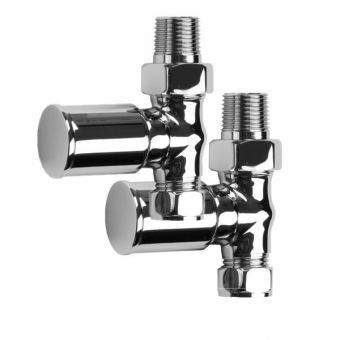 We are pleased to offer the best possible prices on all our products, and radiator valves are no exception. 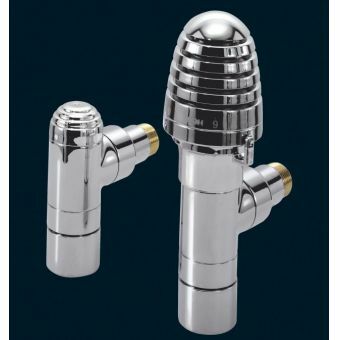 Free delivery is also available on selected items. 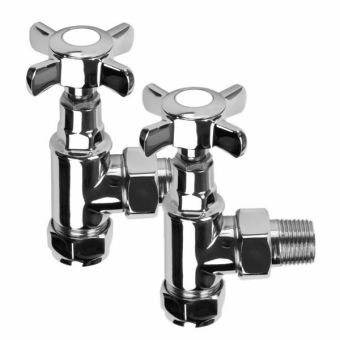 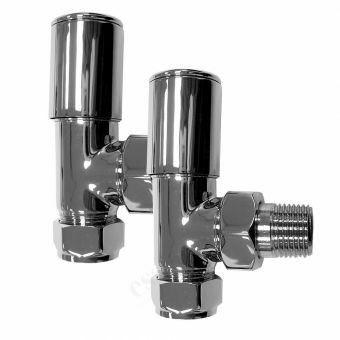 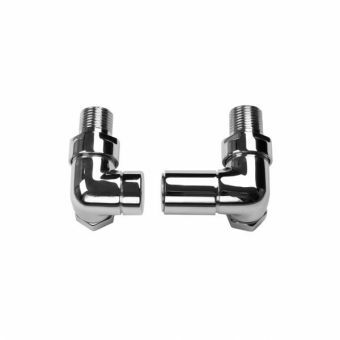 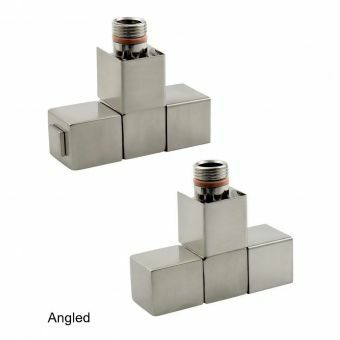 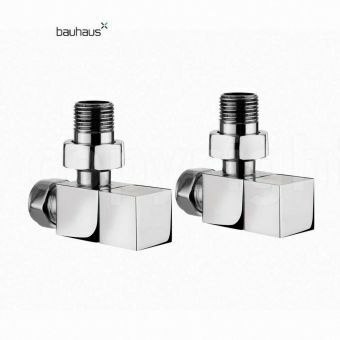 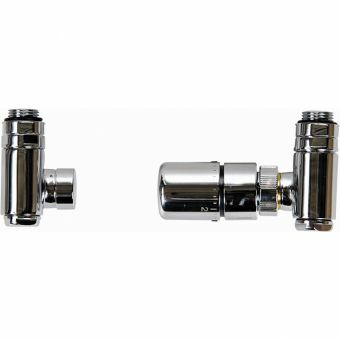 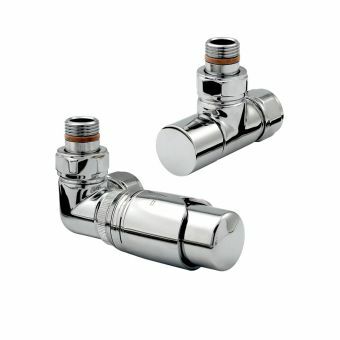 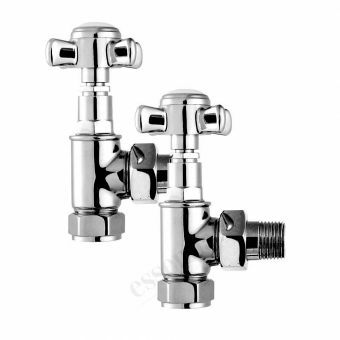 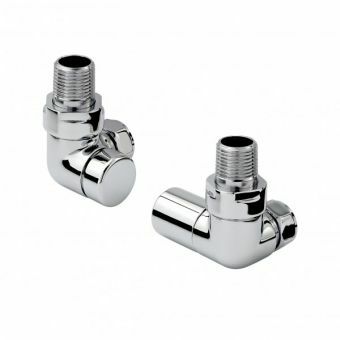 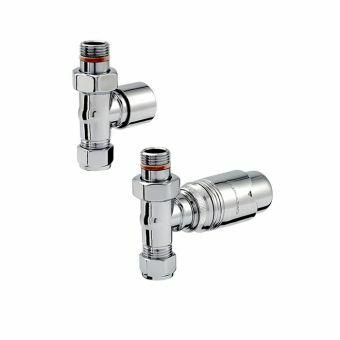 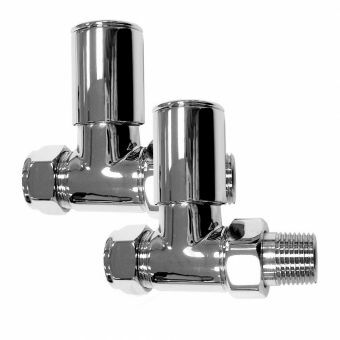 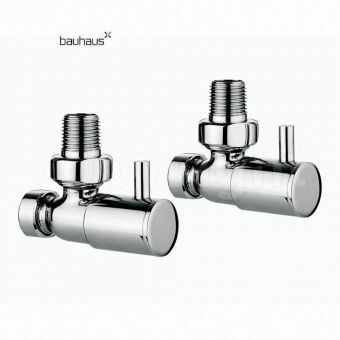 The Bauhaus Round Corner Radiator Valve Set is a pair of manual radiator valves with a double angled design in a chrome finish. 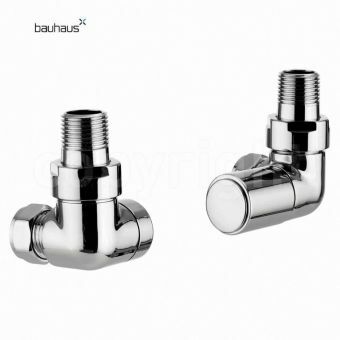 Providing an important safety benefit for those with children and also preventing fabric from catching, the valves are flush-fitting to the radiator’s body. 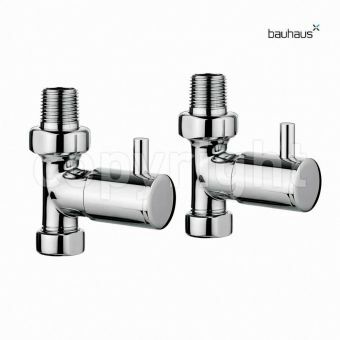 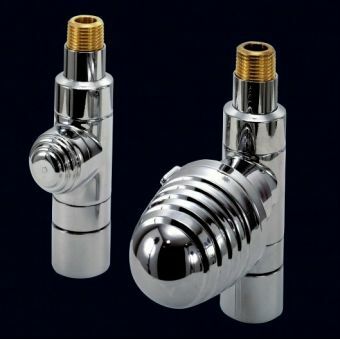 Installation is simple and the valves fit in well with any contemporary bathroom design. 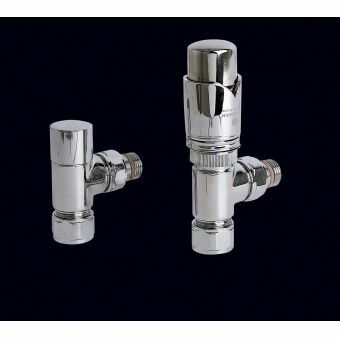 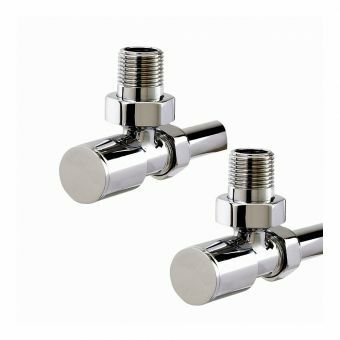 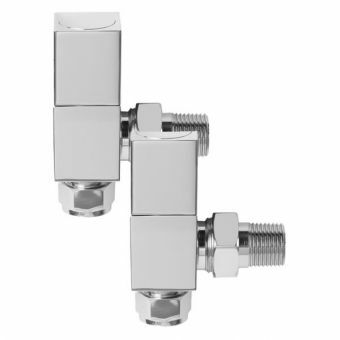 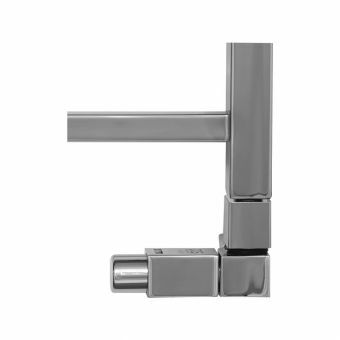 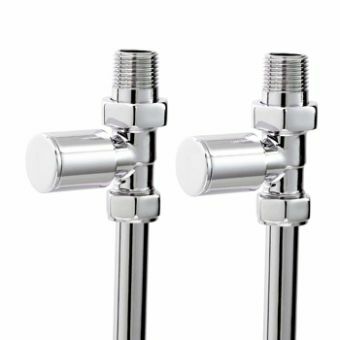 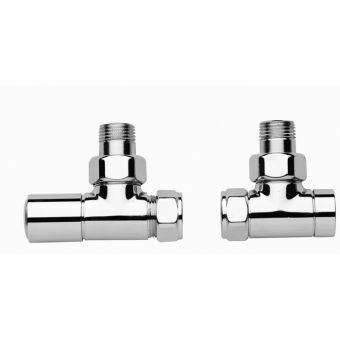 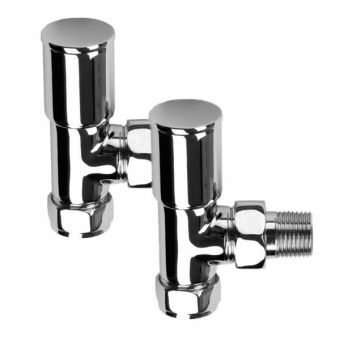 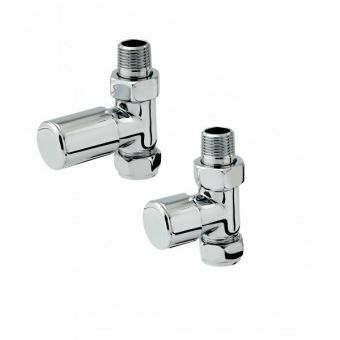 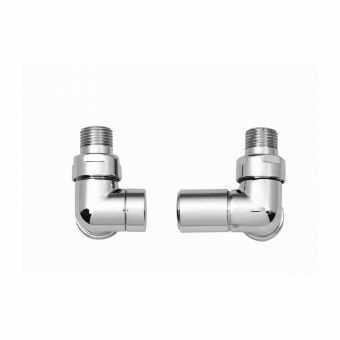 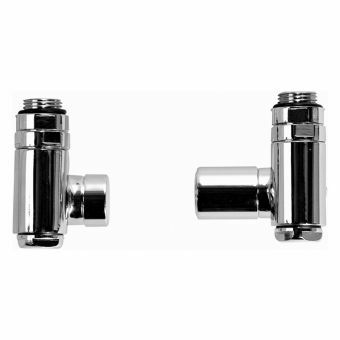 JIS Profile Radiator Valves are designed for use with JIS heated towel rails, and come in a modern, chrome finish for a quality appearance. 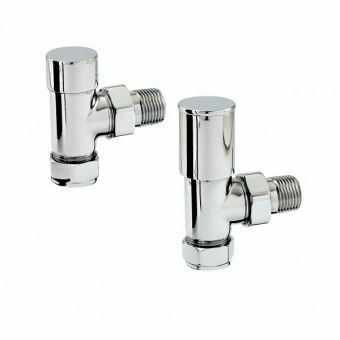 Allowing for simple control of the hot water flow, they provide a sleek touch to any bathroom. 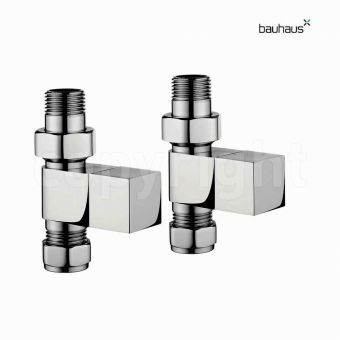 It is possible to filter by brand when searching for radiator valves. 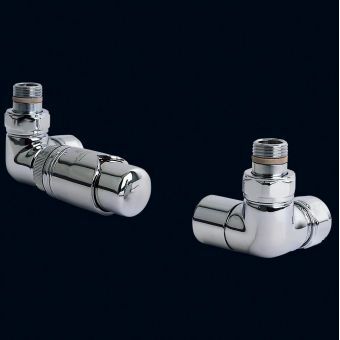 Some of the makes we stock include Pegler, SBH Radiators, Burlington, Phoenix Whirlpools, and Zehnder Radiators. 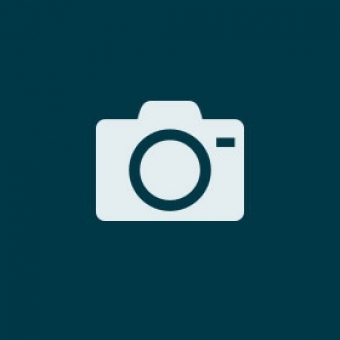 Use the price filter to find a suitable product within your budget. 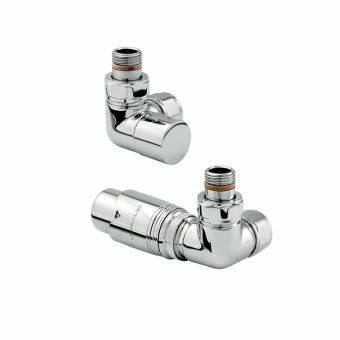 We guarantee the lowest possible prices with our ‘never beaten on price’ promise, and there are a range of payment options available. 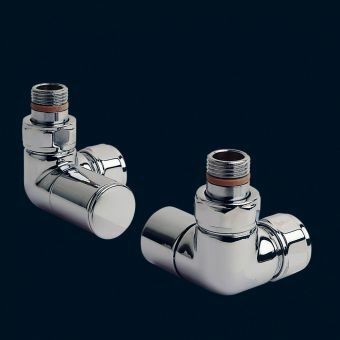 It is even possible to spread the cost of the order over time via our Pay4Later plan. 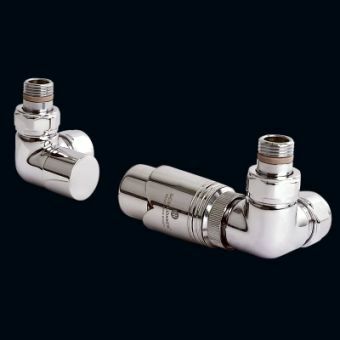 Fast delivery is one of our priorities, and we only use trusted and reliable couriers to deliver your orders.